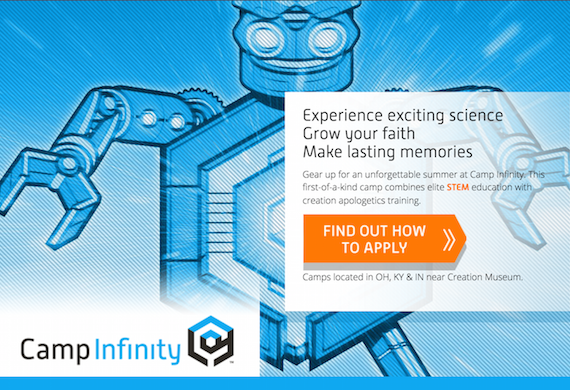 Camp Infinity is a unique STEM camp that runs educational camp programs for gifted kids. Because the staff wants to ensure a good fit between their camp program and the campers that attend they have an admissions process similar to a private school. 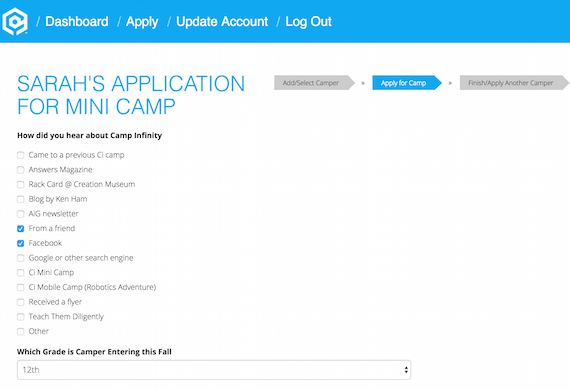 But managing admissions is tricky business, so Camp Infinity contacted us to help them meet the challenge. 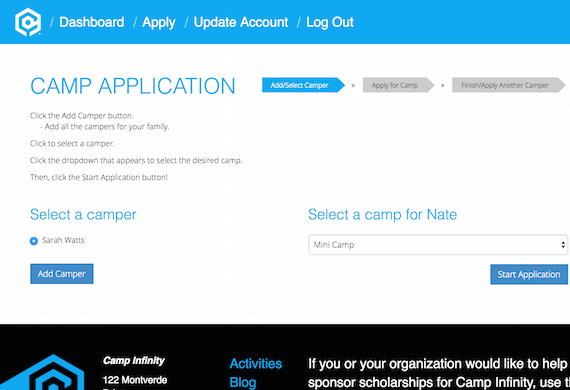 Aug. 14, 2017, 5:38 p.m.
We built a camper application and registration system for CampInfinity to reduce the labor in accepting campers. The system we built allows for the Ci staff to easily manage applications, registrations, camper information, payments, and camper checklists. We’re also pleased to say that we provided CampInfinity a HIPAA compliant system, since camper medical information is collected. Additionally, our HIPAA solution was inexpensive, which made a secure system feasible. 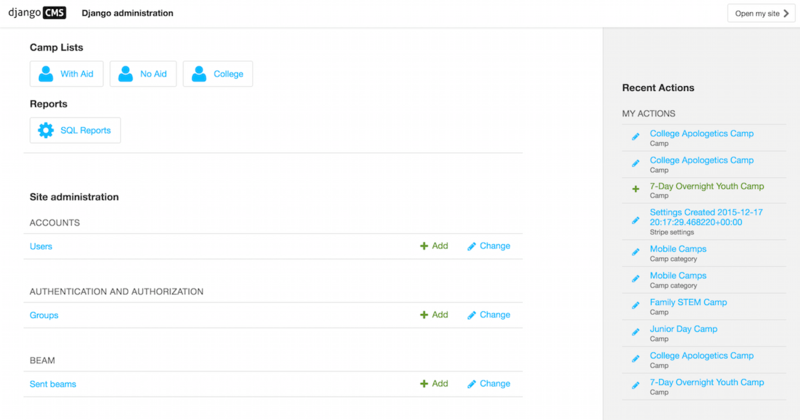 The management app acts as a central portal for parents to login and get information about camp. 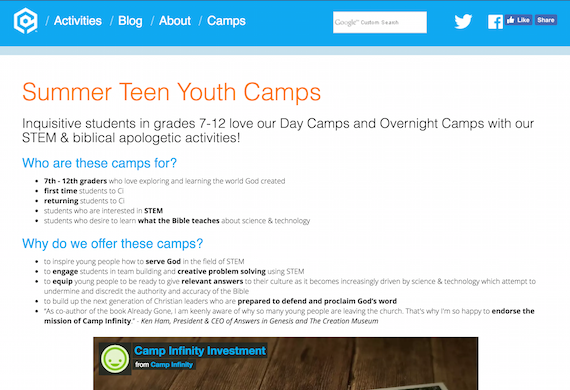 But we also provided seamless integration with CampInfinity’s marketing site, which eliminates double entry and makes it easy to have accurate information for parents (no matter where they’re looking).